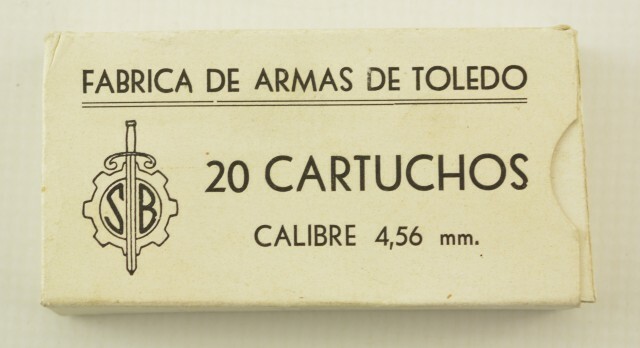 Description: This experimental ammo was made in Spain in 1968 for the CETME rifle. This ammo features a tiny (18 caliber) full metal jacket bullet with "Spoon Tip" to increase tumbling action upon impact. 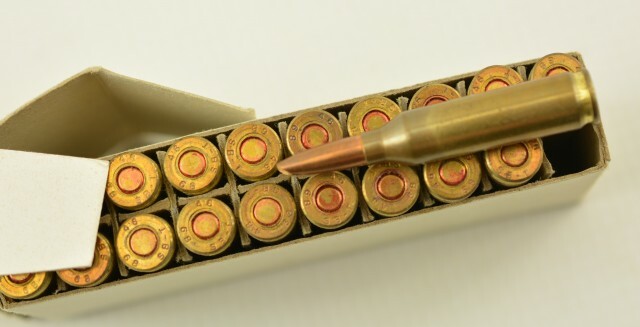 This box is full with 20 loaded rounds showing "SB-T 68 4.6" headstamp with red primer sealer. Box shows very light soiling, ammo remains bright and clean.